This Dow stock should dip at the open on Thursday. 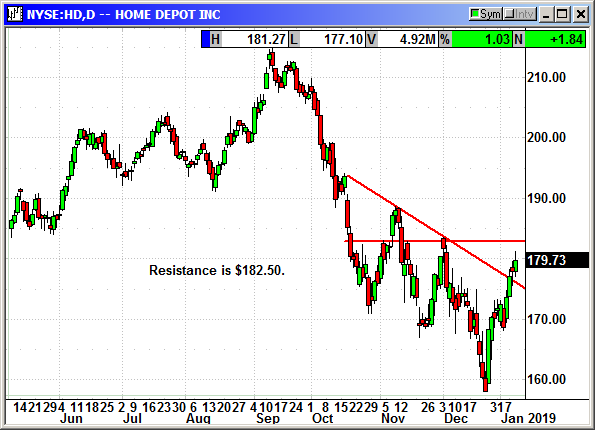 Home Depot is close to breaking above prior resistance and any dip at the open on Thursday could be a buying opportunity. Buy Feb $185 call, currently $3.25, stop loss $171.65.